In 1794, the first session of the United States Senate was open to the public, Eli Whitney was granted a patent for the cotton gin and the U.S. Mint struck the first “flowing hair” silver dollar. Today, Reuters announced that a 1794 silver dollar sold at an auction for a record $10 million to rare coin dealer, Legend Numismatics. “We felt in our heart that this would be the very first coin to exceed the $10 million barrier in auction and were in fact prepared to bid much higher in order to acquire this unique piece of history,” the company said in a statement, adding it had no plans to sell the coin in the near future. 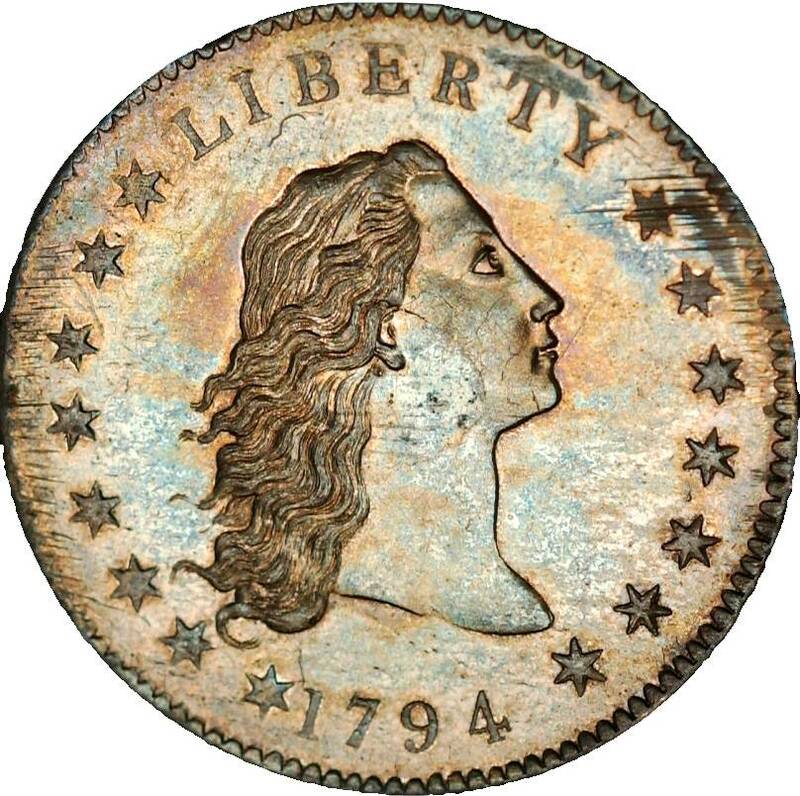 David Bowers, chairman emeritus of Stack’s Bowers Galleries, said the coin has unique features that make it particularly valuable.”It is the first American metal dollar struck and the finest known. You have these combinations coming together. No museum has an equal piece.” The coin was part of the Cardinal Collection, amassed by the collector Martin Logies. Bowers described the collection as the “Old Masters” of coins struck during the earliest years of the U.S. Mint. While wishing your great-great-great-grandfather had been a coin investor won’t help you much now, it’s never to late to begin building your retirement in precious metals today. American Bullion can help individuals looking to invest their old 401(k) or current IRA in precious metals such as Silver or Gold. Our precious metals specialists can help walk you through each of the Silver coins permitted by the IRS for use in individual retirement accounts. For a free guide on investing, call American Bullion at 1-800-326-9598.